Data loss is often a tragic and traumatic experience for most computer users. It could be due to hard drive failure, accidental formatting, electronic malfunctioning or sometimes due to natural calamities. If you know the value of your data and have been keeping regular back up, chances are you can survive a pc crash and resulting data loss. However, most of the people are very careless about their data and do not realize its until until faced with data loss with no recovery possible. It is a good practice to check back-up files or employ an online server backup of your files once in a while to ensure they are working and you’d be able to restore them in case something terrible happens with the data. Data loss can happen to anyone, no matter how good the backup protection system is. There is no tape backup that can comprise all the valuable information without omitting some precious stuff. Text documents, financial records, contact records, address books, email messages and databases that you have created on your computer or servers may disappear forever unless you take a serious action to prevent it. The lost files are hard to recover, and it takes a lot of precious time and nerve-racking to recover even to the approximate extent the ruined system as it was before the disaster. The value of data highly exceed the mere cost of your computer or server, as you have to pay a great amount of money for reproducing the whole information as it was before the crack down. So, the most reasonable thing to do, if you don’t want to spend a lot of money afterwards, is to re-ensure you are following good backups practices. Home users aside, organizations are also victims of data loss and it is not uncommon. Enterprises are usually worst hit because of the loss of crucial data pertaining to the enterprise and customers. I see news of hard drive crashes, system crashes all the time where staff loses access to their emails, important excel sheets and other documents just because the system admins have failed to implement sufficient back up procedures in place. One minute the files are all there. The next minute they’re gone. I know you might be thinking that you can’t do much when sometimes like this happens, it is the work of data recovery services to restore your data for you. 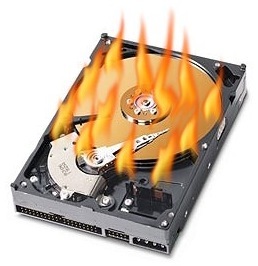 Data-recovery firms can sometimes come out as a lifesaver, many a times they can recover even burned out hard drive! However, data recovery on its premium service commands great prices. It must be understood that data recovery process is a very intricate one, which requires factors that come with expensive tags. This is probably due to the truth that when something becomes complicated, it already owns the license to obligate consumers to pay higher for the services. To simply avoid paying huge amounts to a recovery service, make sure you employ the following steps to prevent data loss. Organize your data and allocate separate partition for valuable data. Try not to store all your files randomly. Do not put your important stuff on root partition. Organise it properly. It’ll help you take back up faster. Data protection is the best policy than ruing over the loss. You can make use of trusted data backup software which automatically backup your data regularly, if you can’t do it yourself manually. Keeping backup of backups will safeguard you against the worst eventualities, too. Turn off your computer immediately as you hear strange noises like creaking run of hard disk. It is also wise to unplug power cords, modem and telephone cables when you are going out of home or office for a long time. Keep your system clean of viruses and other malware. Make sure you have a good antivirus installed and protecting your system in real time. Secure your systems for unauthorized activity to prevent others accidentally or knowingly playing with your data. Encrypt your files if need be. Lock your USB drives. Lock your pc while not in use. Since hard drives usually carry most of your important data, make sure you are using a hard drive monitoring software. Enable SMART monitoring in your pc if your BIOS has the feature. There are also specilized software and tools such as HDDlife Pro which regularly keep a watch on the health of drive and warn user if they notice any anomaly. Most of the modern operating systems have backup and scheduling functionality built in. If you are unsure, here is how to backup and schedule backup in Windows XP There are also some excellent freeware and paid utilities available that help you with back up scheduling without much messing around. Few clicks are all that is required to backup data. I have found this free backup software called GFI Backup 2009 very good. If your system is connected to a LAN you have full control over, you can schedule a network backup. The software would generally put your data somewhere on a different computer on the network. It could be a backup server, SAN storage unit etc. You can also use online backup services like mozy. Remote backup sometimes come very very handy. I hope the above tips will help you prevent data loss and save you recovery headaches.